Here in Kansas City, warmer days are still a few weeks away. But it’s never too early to start planning your lawn care program. After all, maintaining a healthy lawn does require quite a bit of planning, time, and attention. Here is a list of the top 5 reasons you should leave this task to a lawn care professional this season. It is no surprise that curb appeal is number one on the list of reasons to hire a lawn care professional, but it might not be for the reasons you think. In a recent study done by the National Association of REALTORS® and the National Association of Landscape Professionals, lawn care was ranked high on the list of things that are most important to buyers. And if you’re not planning on selling you home anytime soon, well, hiring a professional can help communicate to the neighbors who the lawn king is on the block! There are a lot of things that need to keep top of mind when applying synthetic chemicals to your lawn. Some chemicals can be harmful to your health if the proper safety precautions aren’t taken. If you have pets or children, the risk can be even greater. Hiring a trained professional can be beneficial because they are educated on how to use these chemicals safely and effectively while minimizing the risk. We all have a limited amount of time each day. If you’re like most of us, you have a busy schedule without trying to squeeze in things like taking care of the lawn. Hiring a professional to take care of your lawn means one less thing on your to-do list for the week. Spend that time with the family or friends, or just enjoying your beautiful lawn. There’s a lot more that goes into creating a beautiful lawn that throwing down some fertilizer and mowing once a week. Things like when are the best time to aerate, what type of weed prevention to use, and how much, can all be confusing. A professional can help you identify which areas of your lawn need the most work, and help design a program for your lawn so that you finally have the green lawn you’ve always wanted. It turns out, having a healthy lawn is also good for the environment. 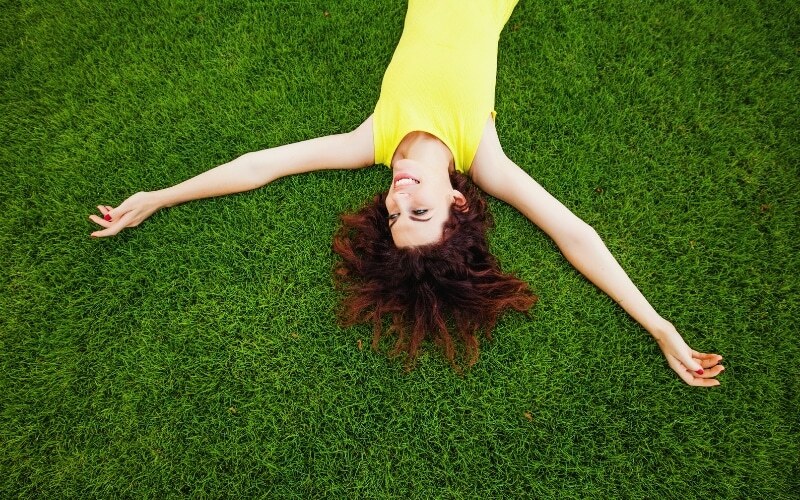 Did you know that your lawn is on average 30 degrees cooler than asphalt? And it’s 20 degrees cooler than bare soil. Your lawn also plays a big roll in the ecosystem. For example, grasses absorb carbon monoxide and convert it into oxygen. It also helps absorb harmful particles in the air, absorb runoff, as well as eliminating other pollutants in the air. Your lawn is worth the investment. And lucky for you, a green healthy lawn is just a phone call away!